I’m a total shutterbug when I travel. One of my favourite things to do in a new place is just walk around, taking in the sights and snapping photos of the local life. My goal is always to end up with a trip photo album (printed, of course — I learned my lesson in the Great Laptop Crash of ‘13) that balances must-see landmarks with the random discoveries and happenings I’ll be talking about for years to come. Of course, I’ll be the first to admit there are times when it’s not terribly convenient or comfortable to haul around a backpack full of expensive camera gear. For those times, it’s good to have a compact and reliable backup. Smartphone cameras have come a long way in a short time, and I know several social media influencers who now travel almost exclusively with a phone. Turn to the “In a snap” page in any issue of Canadian Geographic or Canadian Geographic Travel, and I daresay you’d be hard-pressed to pick out which images were shot with a DSLR, and which with a smartphone. So, when the opportunity came up for me to test the new LG G7 ThinQ, I was excited to see what kind of shots I could get on my local adventures with a device I could slide into my back pocket. With dual 16-megapixel cameras, including one with a super wide-angle lens (107-degree field of view), and a large, ultra-bright display, the G7 ThinQ is designed with mobile photography in mind. And, as its name suggests, the device is happy to do most of the thinking for you, with a suite of features to help you capture great photos with minimal fuss. Chief among them is the AI Cam, a neat bit of technology that detects subjects in frame and auto-adjusts sharpness, contrast and saturation to produce an ideal image. It’s fun to watch words flashing up on the screen as the camera tries to figure out what it’s looking at. Some are real head-scratchers, as you can see below. Water, building exterior ... spinach? 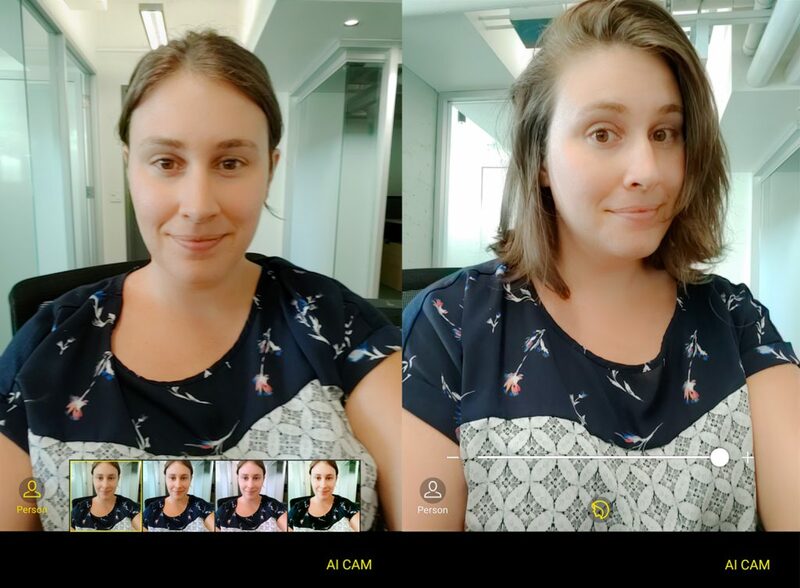 In selfie mode, you can even apply a little in-camera face-tuning, although I recommend using a light touch (unless your aesthetic is “featureless blur”). I'm in my 30s. I've made peace with my emerging wrinkles. As novel as the feature is, I found most of the photos I captured with the AI Cam wanting. Depending on what the AI thought it was seeing, the tones were either overcooked, or the white balance was noticeably off. If you’re shooting off-the-cuff, trying to capture a spontaneous moment, the AI Cam will probably hurt more than it helps. 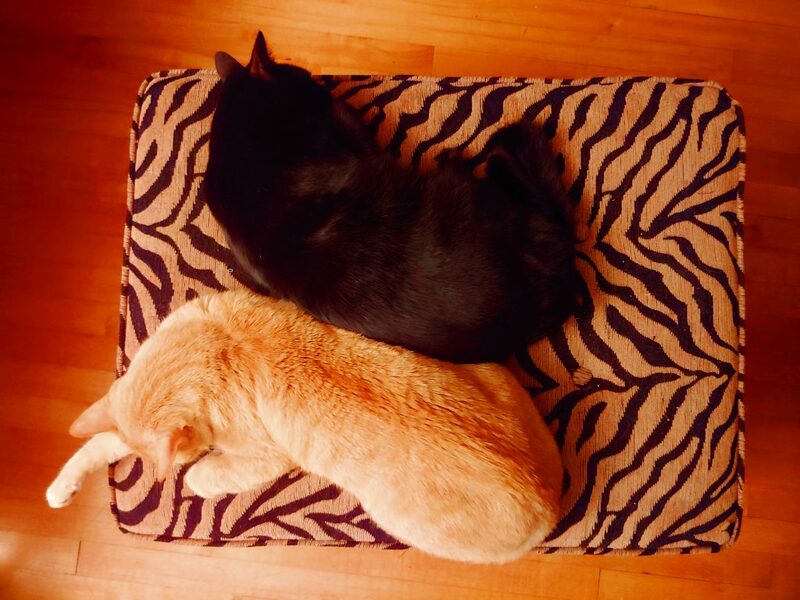 I solemnly swear I did not photograph these cats in a burning room. 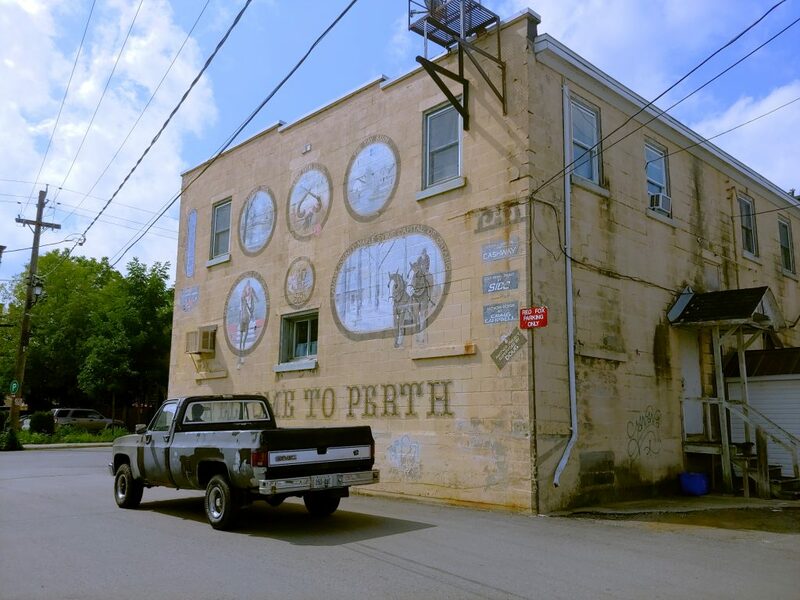 Unable to choose between "building," "sky" or "trees," the AI Cam slapped a weird vintage filter on this Perth, Ont. scene, but it kind of works. Fortunately, the G7 ThinQ also has a manual mode. The dual rear lenses have apertures of f/1.6 and and f/1.9 (super wide-angle) and you can adjust the ISO, shutter speed, exposure, white balance and focus for total control over the final image. I really enjoyed shooting in wide-angle mode; the distortion adds interest to otherwise static landscape shots. 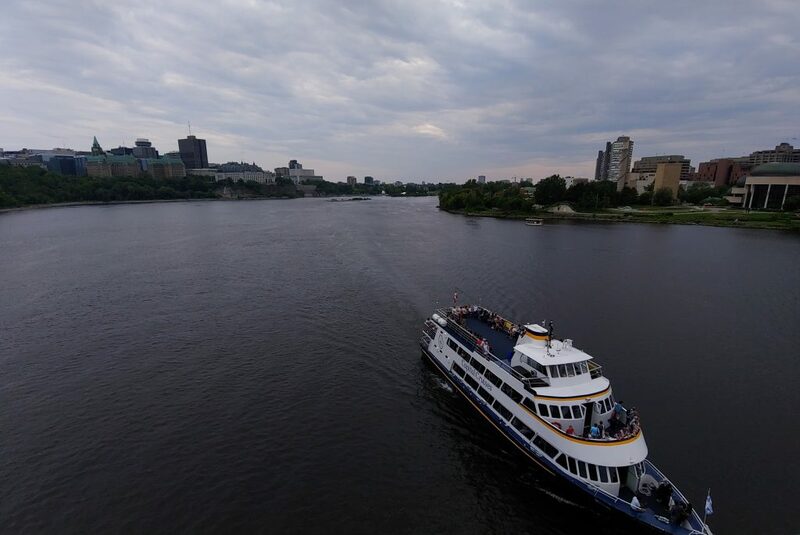 A Capital Cruises tour boat about to pass beneath Ottawa’s MacDonald-Cartier Bridge. Like most newer phones on the market, the G7 ThinQ has a portrait mode, which imitates the shallow depth of field you’d achieve with a lens with a wide aperture and also works with the selfie camera. If you look closely you can see some errors in the blurring around me and the background is a bit overexposed, but overall this is a nice snap that I’d be content to share on Instagram or put in my travel album. 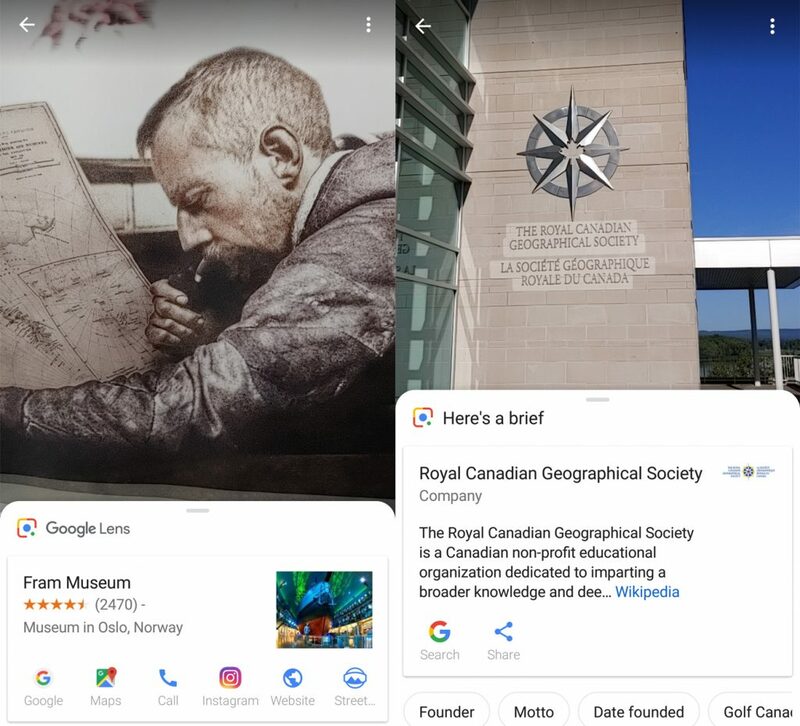 One other cool feature of particular note to travellers is Google Lens, accessible from the camera. Say you’re walking around a new city and happen upon something interesting — a flower you’ve never seen before, or a landmark you want more information about. Just snap a photo of it and Google Lens will serve you the most relevant search result. 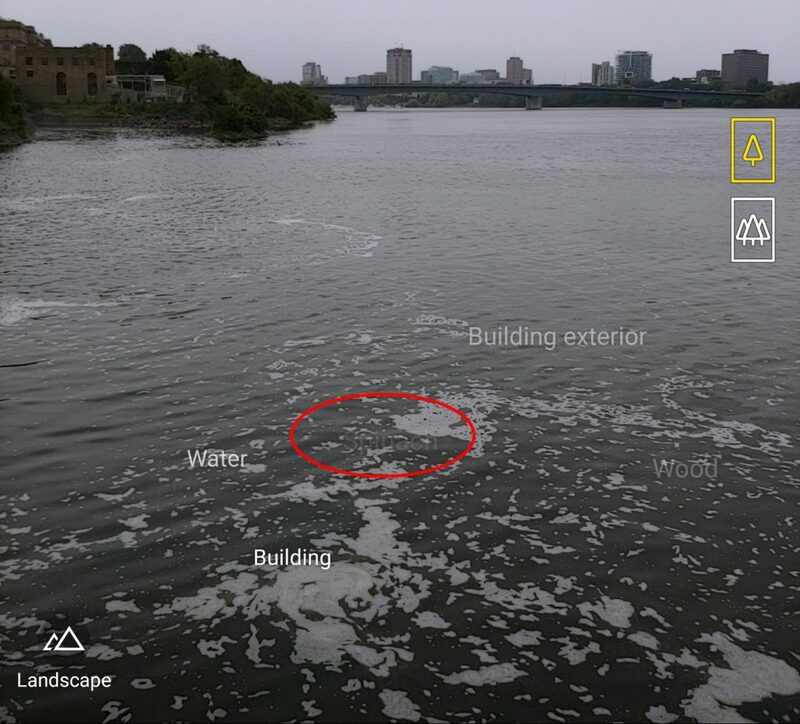 It’s not great at big-picture stuff — it couldn’t tell me name of the historically significant river that flows through Ottawa, for instance — but it did recognize our summer exhibit at 50 Sussex Drive as being on loan from the Fram Museum in Norway. If you’re in the market for a device with the photographic quality and range to let you confidently leave your heavy camera bag at home, the LG G7 ThinQ is a great choice. Just don’t expect it to do all the thinking.